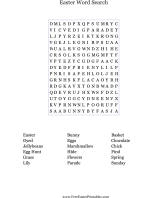 This printable letter from the Easter Bunny to a child praises the recipient, lets him or her know that the bunny is on his way, and politely asks for a carrot or lettuce. Happy Easter! 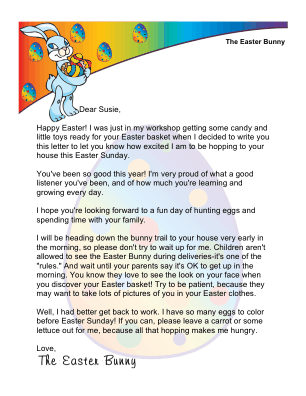 I was just in my workshop getting some candy and little toys ready for your Easter basket when I decided to write you this letter to let you know how excited I am to be hopping to your house this Easter Sunday. You've been so good this year! I'm very proud of what a good listener you've been, and of how much you're learning and growing every day. I hope you're looking forward to a fun day of hunting eggs and spending time with your family. I will be heading down the bunny trail to your house very early in the morning, so please don't try to wait up for me. Children aren't allowed to see the Easter Bunny during deliveries-it's one of the "rules." And wait until your parents say it's OK to get up in the morning. You know they love to see the look on your face when you discover your Easter basket! Try to be patient, because they may want to take lots of pictures of you in your Easter clothes. Well, I had better get back to work. 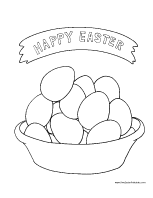 I have so many eggs to color before Easter Sunday! If you can, please leave a carrot or some lettuce out for me, because all that hopping makes me hungry.